“The white-haired lady whom they can trust.” Although she has had years of influence within the Muncie community, this is how Roni Johnson would like to be remembered. Her value of integrity started at a young age and has been substantiated through her involvement with The Community Foundation. It began with her father, the owner of a corner drug store, and continued through the influence of community leaders like David Sursa, the Foundation’s founding president, who valued giving back to the Muncie Community. Roni also recalls the influence both her parents had on her philanthropic endeavors. Her mother found value in community beautification. As a girl, Roni recalls planting trees in the community with her mother. This is one of her earliest memories of her own community involvement. Roni’s father, a small business owner, relied on his community to provide for his family. He taught her that giving is not a one-way street, and he recognized the importance of giving back to a community that had given his family so much. “My father had a business in town, and he always felt that if you are going to rely upon the people in your community to support your business, you have to support the community that you live in,” Roni said. Roni was trained as a school teacher, but found herself as a stay-at-home mom with a passion for community involvement. She connected with Oliver Bumb, the first part-time director of the Foundation, and became involved with the organization during its second year. Her first office space, she recalls, was less like a space and more like a corner where she would work on strengthening the Foundation’s beginnings. During this time, she worked alongside Don Bell and Earl Williams to raise $1 million in endowment for a Lilly Endowment Inc. challenge. She graduated to a new position in 1992 when she became the first full-time Executive Director and remained in the position for 21 years. 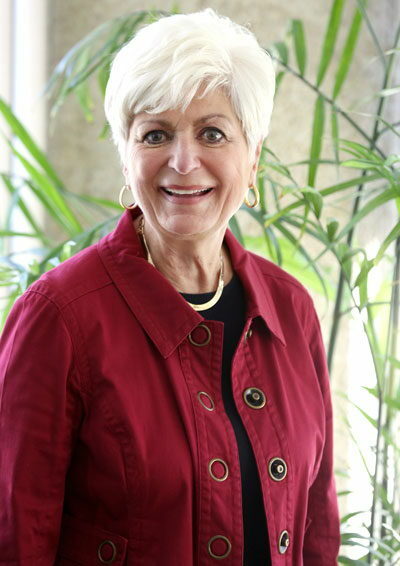 In the 32 years that the Foundation has been a part of the Muncie community, Roni has been there for 27. Being a staff member at The Community Foundation allowed Roni to keep her values close to her in all aspects of her life. She and other Foundation leaders developed the organization with integrity in mind and continued to grow its accountability within Muncie. The minimum amount to start an endowment fund is $10,000. Roni, like many still active in their careers, recognized that giving this much at once was not plausible for her. She still wanted to give to The Community Foundation. Roni was intentional when choosing to create an unrestricted fund. Interactions with foundations across the country, as well as her involvement in Delaware County’s own foundation, have taught her the value of unrestricted contributions. She says that without them, The Community Foundation would not be able to be reactive or proactive to the issues Delaware County is facing. Investing in specific causes through the Foundation is enticing, but Roni emphasized the trust she has in The Community Foundation by giving unrestricted dollars. While the money she has given can go to any need in the community the Foundation sees as fit, the organization tries to keep in mind the causes each donor values when allocating their fund’s money to community needs. Unrestricted donors receive letters notifying them when a grant is made from their funds. “When I receive the letter and I see the organizations my fund has reached, I think they’ve tried to tie my fund to something that they probably know I am interested in,” Roni said. As far as the future of Muncie is concerned, Roni has hope that the community she has worked hard to give back to continues to grow. With the help of the Foundation, and with the involvement of a community that loves their city, the future looks bright for Muncie. Roni’s time at The Community Foundation has been impactful on its history, as well as the history of Muncie, but she remains humble in the face of her influence and her contributions.